Val from Solo: A Star Wars Story (left) and Star Wars: Beckett – art by Terry and Rachel Dodson (right). Val was a member of Tobias Beckett’s crew in Solo: A Star Wars Story. Val (played by Thandie Newton) was also romantically involved with Beckett. Val, Beckett, and fellow crew member Rio Durant also appeared in the one-shot comic Star Wars: Beckett. 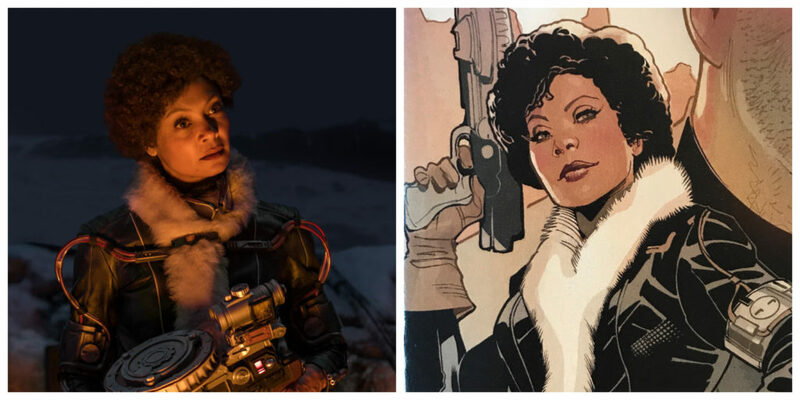 I think it’s also safe to say that Val will appear in the novelization and comic adaptation of Solo.